Twenty-one members attended Sunday evening's August 11th club meeting - not bad for a busy summer weekend. We generated some excellent dialogue amongst the membership especially during the "photoshop" workshop portion put on by Bert Jenkins. In the second half of the meeting, we had many great images to digest in the club related "Waupoos" and "Patterns" slideshows. These have now been uploaded to our facebook page - facebook.com/countyfotoclub. We also thank Caspar and Inge for capturing the sights (and sounds) of the Tall Ship weekend held in Toronto last month. It was very entertaining. Our bookmark project is now complete and the results are very attractive. We printed 1000 high quality bookmarks which have images from 14 different club members. Fortunately, we had them ready before the Clic Photo Show where 115 were eagerly taken by event patrons. The August monthly challenge was issued, namely "Olde Woods". So get you cameras focused on barn-boards and cedar fences and ... Be creative, be adventurous, mix it up and let's see some innovative results. The County offers some great opportunities to capture this subject matter. Two club sponsored photo outings are planned for August - which implies slideshows will be assembled from member submissions. 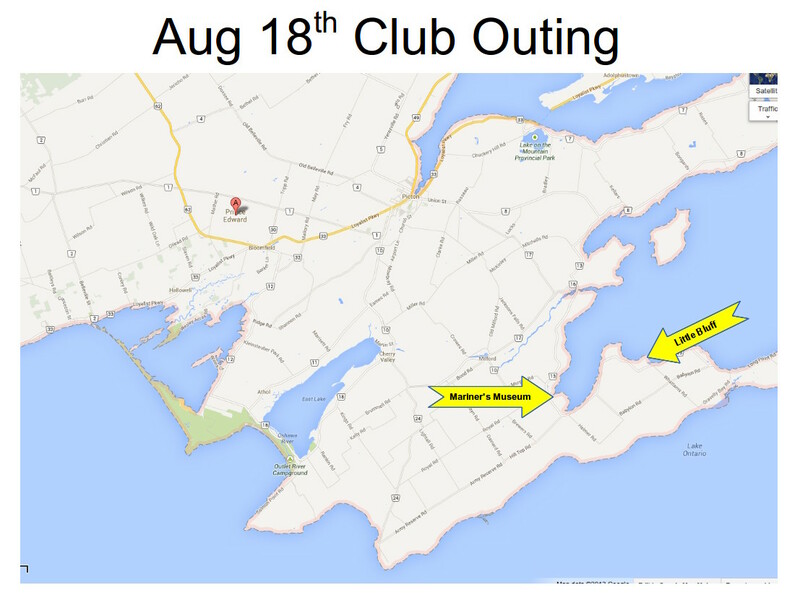 The prime outing will be on Sunday Aug 18th at 2 pm starting at the Marine Museum and then heading down to Little Bluff Conservation Area. 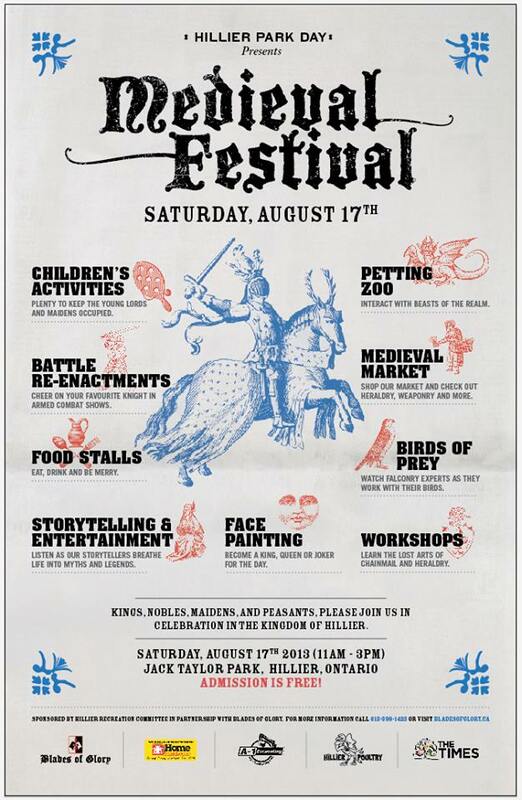 Also, Carol Quinn has informed us that on Saturday Aug 17th, the Medieval Festival is on in Hillier at the Jack Taylor Park. The festival opens at 11AM and runs through to 3PM. I plan to be there at noon, somewhere near the front gates. We do hope you will join us for one or both of these fun club photoshoots.